1. 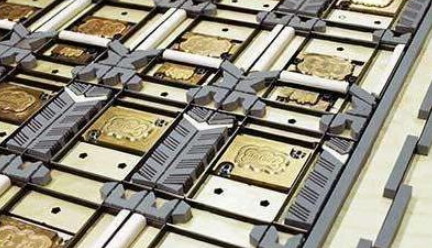 The operator is strictly forbidden to leave the work position when the equipment is running, so as to avoid fire for the laser die cutting machine. 2. The equipment should be operated for a long time. The operator should always check whether there is water leakage or condensation in the water pipe inside the laser; whether the vacuum pump or Roots pump oil level is normal for the laser die cutting machine. 3. The air compression and oil-water filters must be turned on before operating the equipment to avoid contamination of the condenser and the laser cutting quality for the laser die cutting machine. 4. Air compressor needs drainage every day (dryer general pressure pump automatic drainage)for the laser die cutting machine. 5. Check the chilled water level to meet the standard every day, and deal with it if there is any problem for the laser die cutting machine. 6. Before operating the equipment, check whether the graphics are well-positioned and the outer frame is well-positioned. The starting point of the puzzle should be accurate. So as not to damage the laser head, affecting normal production for the laser die cutting machine. 7. The screw guide on the screw guide of the machine tool and the cutting head should be refueled at least once a month for the laser die cutting machine. 8. The chiller filter is cleaned at least once a month for the laser die cutting machine.